Christina Lake is home to approximately 1456 permanent residents in the winter and thousands more in the summer months. The lake is 19 km. long and more then 180 meters deep in some sections. 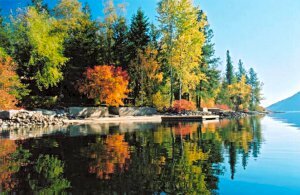 The warm water temperatures can be attributed to the fact that a sizeable fault runs through the middle of the lake which supplies constant geothermal heat to the lake making it the "warmest tree-lined lake in Canada", making it a popular vacation destination. Christina Lake isn't just a summer destination, the fun and adventure extends throughout the year offering something for everyone. 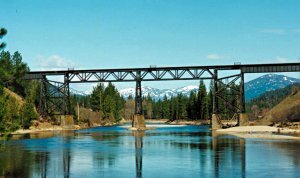 Recreation opportunities are in abundance at Christina Lake with such attributes as the Trans Canada Trail and the Kettle Valley Railway with its newly decked and hand-railed trestles. 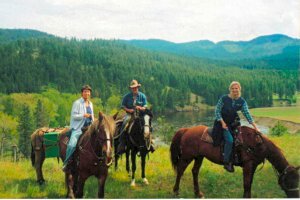 There's also the golfing, the Cascade Falls view site, as well as cross-country skiing, Snowmobiling, horseback tours, and snow shoeing just to name a few. There are also two ski hills within a 45 minute drive of Christina Lake both to the East and the West. Whether you arrive for a family vacation or you're on a getaway alone, Christina Lake provides everything you need to make your stay a great experience. Local outfitters will get you started with the right equipment for biking, kayaking, canoeing, and horseback riding complete with tour packages available. All the necessary amenities are at your fingertips. Grocery stores, gas bars, medical clinic, sani-station, and mechanical services. When hunger strikes, choose from an array of cafes, bistros, coffee bars, restaurants, and fine dining. You're sure to find something that will bring you back for seconds! Access: Christina Lake is located on Highway 3, a well maintained, major highway, 27 km. east of Grand Forks. Greyhound Bus Lines services the community -- the Castlegar airport is 45 min. east -- and the Kelowna airport is 3 hours NW. Spokane, Washington is just 2.5 hours away. 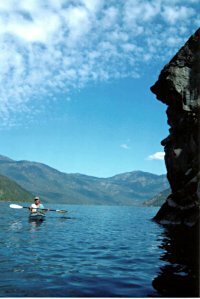 Recreation Facilities & Activities: 2 golf courses, picnic sites, hiking, waterskiing, boating, swimming, cross-country skiing, windsurfing, horseback riding, mountain biking, kayaking, canoeing, mini-golf, tennis, and baseball. 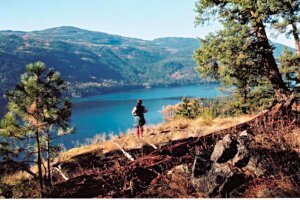 Local Attractions: Cascade Gorge, Christina Lake Golf and Country Club, Paulson Bridge, Christina Lake, Kettle Valley Rail Trail, and the Trans Canada Trail. Snowfest during the first weekend in February - this event includes a ball tournament, snow bocce, human dog sled races, many kids games, snow golf, concession, and a dance. Fishing Derby at the end of May - a weekend long event with many prizes. Easter Egg Hunt on Easter Sunday at the Owl Mountain Ranch. This fun family event has face painting, crafts, egg painting and a chance to sit on a horse with bunny ears. Accommodations: Motels, campgrounds, R.V. parks, and bed and breakfasts are abundant along with the friendly accommodating staff and management to meet your every need.